If one needs to know what minimalism is not, this is the film he must watch. 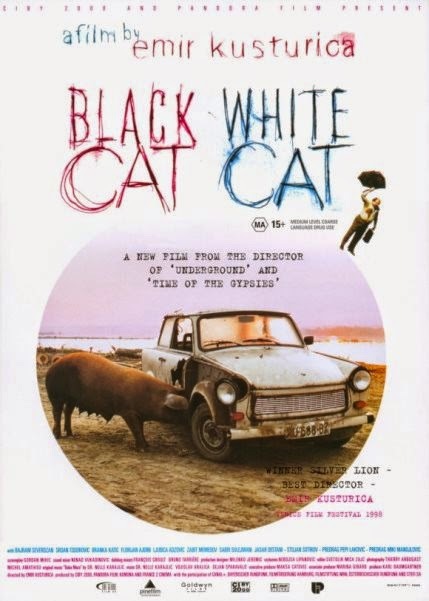 With Black Cat, White Cat Yugoslav filmmaker Emir Kusturica continued his love affair with rambunctious, operatic, gregarious, caricaturized, whimsical and darkly funny narrative style that he made his own with his previous feature, the fabulous allegorical political satire Underground. Though not as lacerating politically as the latter film, the fact that Kusturica had the gall to set completely within the Gypsy milieu, with all their idiosyncrasies and contradictions, on the banks of Danube, added resonating social context to this hilarious, colourful, unpredictable, chaotic, riotous and gleefully enjoyable slapstick comedy fable brimming with unbridled vigor, verve and vivacity. When small-time racketeer Matko (Bajram Severdzan), who can differentiate pure and adulterated petrol through taste, hatches a crazy plan to get rich, he kick-starts a roller-coaster ride involving, among others, his gangly 17-year old son (Florijan Ajdini), the vivacious barmaid (Branka Katic) the naïve guy has lost his heart to, sleazy coke-snorting Tony Montana-like gangster Dadan (Srdan Todorovic), Dadan’s midget sister (Salija Ibraimova) he wants to get married off, Casablanca-loving octogenarian wheel-chair bound czar Grga (Sabri Sulejman), Matko’s just-released father (Zabit Memedov) who’s the best friend to Grga even though they haven’t met in over 2 decades. Filled with madcap and boisterous moments, a memorably over-the-top wedding, wry and deadpan fillers like a pig chewing a car off, zany plot movements that stretched the limits of plausibility, and yet filled with an underlying sense of empathy, poignancy and love for the marginalized community, I wouldn’t be surprised if Fellini’s unforgettable masterpiece Amarcord was the source of inspiration for Kusturica in this film. 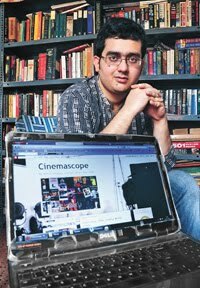 Shubhajit, I can't actually offer up a very good reason for why I have never connected with Kusturica's work, but I think it has to do with the dearth of any emotional underpinning. As so many others, yourself included have found some to celebrate I can only look in the mirror. 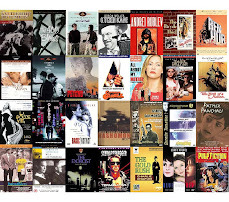 As always your work here is outstanding, and I found that suggestion that AMARCORD could well have been the inspiration for this film most intriguing. Ah, so this is one of those rare instances where we would have to agree to disagree :) I found a number of stylistic & thematic resemblances with the Fellini classic, and hence the presumption on my part.